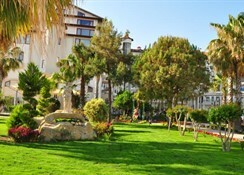 The hotel is 15 km from Manavgat and 12 km from Side. Shuttle services to Antalya Airport are offered at a surcharge- and there is a 24-hour taxicab stand right next to the hotel. 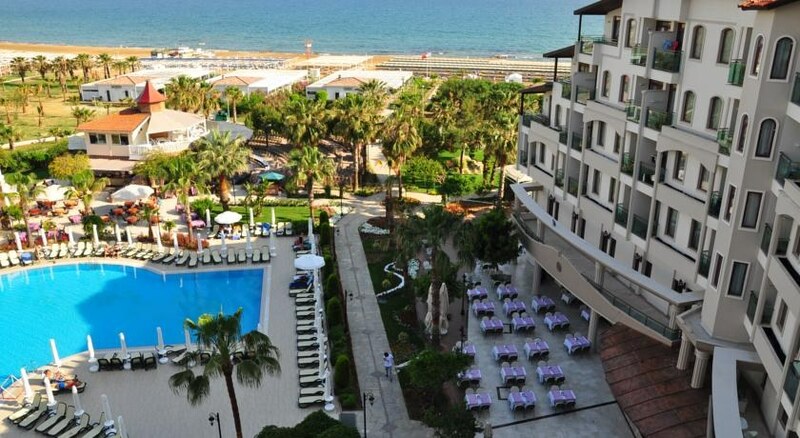 Located directly at the beach- the all-inclusive hotel offers a large outdoor pool and 2 children's pools with water slides- as well as an indoor pool. Free Wi-Fi and free private parking are provided on site. Guests at the resort also benefit from free use of the gym and some of the spa facilities on site- like the sauna- Turkish bath and the steam bath. Various massage and beauty treatments are available at a surcharge. 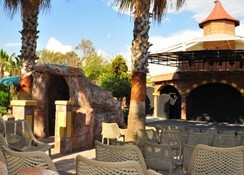 All rooms have air conditioning- satellite TV and a minibar with free soft drinks. The private bathrooms are equipped with a bathtub- hairdryer and free toiletries. 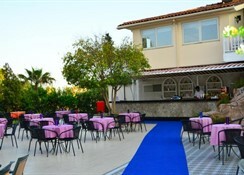 Traditional Turkish dishes and Italian specialities are served in the in-house restaurants.